Bond No 9’s Coney Island conjures up both the magical history and the reawakening of this beachfront paradise. Combined in this contemporary gourmand delight are the sugar-cool notes of margarita mix, hypnotically seductive chocolate and caramel, plus cedarwood. The high-voltage blue bottle recalls the Coney Island’s expanse of sea and sky, while the contrasting gold neck evokes the thousands of electric lights that once lit up its night sky. This is where we could insert the wisecracks about the new secret fragrance called Thor, which evokes the mysterious aura of Norse Gods, the astounding power of the bulldozer, the manic energy of the $2 billion development deal and the tingling drama of the mano a mano over plush, luxury condominiums between a Brooklyn developer and lowly public officials. Blended in this moderne Brooklyn fragrance are the evocative notes of salt water air, pineapple dacquiri and boardwalk wood. No, we won't do that. 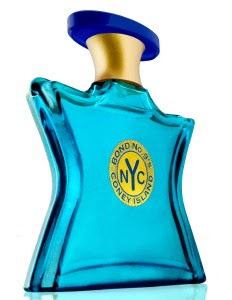 And we won't suggest that we've heard a rumor that Bond's next fragrance will be Gowanus, followed by Newtown Creek. We will note that Coney Island hits the shelves June 1. No word on whether the bottles will be demolished at the end of the summer season and possibly replaced with a new model around 2012. Gowanus fragrance with hints of crude oil & fec'al! Can't wait. They use the whale in the ad campaign. Clever post... gonna have to check out the CI fragrance. "Scenic View Across the Gowanus"